In the archives of the Royal Logistics Corps there is a large book containing graphs recording the issues of various sorts of materiel made to the British Expeditionary Force in France in the Great War. One graph is all about boots and another all about socks. 15,088,420 pairs of boots and 41,583,000 pairs of socks. Essentially the whole boot making industry in Britain was called into the war effort. Boots, though, wear out; not least if they are constantly immersed in mud or exposed to the extremes of temperature and the sharp rock of the desert and mountains. An early question to be addressed was how best to provide a repair service. 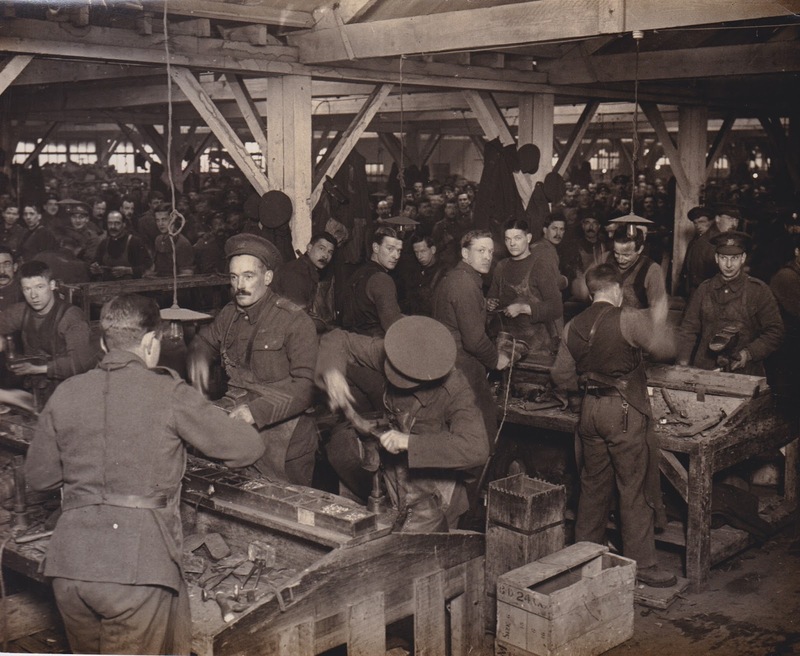 With the millions in the trenches the traditional regimental boot repairer was soon replaced with boot repair factories employing many hundreds of soldiers not fit for front line service, but also older men and local women. 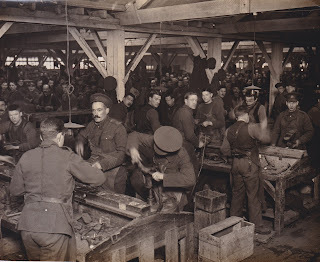 In other theatres where the line was stretched over many miles, the itinerant boot repairer was the answer.